Update: The deceased has been identified as Christopher John Kuhlmann, 37, of El Cajon. April 2, 2017 (El Cajon) — A motorcyclist who drifted over the center line of Jamacha Road near Vista de la Valle struck an oncoming vehicle and died at the scene at 3:50 p.m. yesterday. 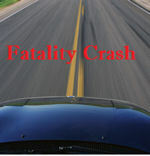 A second motorcyclist lost control and was transported to a hospital with serious injuries. August 12, 2016 (Campo) — A 25-year-old motorcyclist from San Diego struck a tree of State Route 94 in Campo this morning shortly after 10:30 a.m., suffering serious injuries. 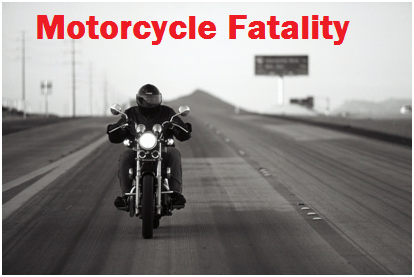 February 12, 2016 (Lakeside) – An 18-year-old man from El Cajon driving a Toyota struck and killed a 49-year-old man from Santee who was driving a Harley Davidson motorcycle. November 9, 2012 (El Cajon) – At approximately 6:50 AM this morning San Miguel Firefighters responded to Dehesa Road and Willow Glen, where a 45 year old male from El Cajon was traveling eastbound on Dehesa Rd. west of Willow Glen Dr. He was riding a 1996 Suzuki motorcycle. For reasons unknown he failed to maintain control of the bike and slid across the solid double yellow line west of the intersection with Willow Glen Dr.